From almost nothing to almost everything. Life is full of chance encounters. These moments are often the most rewarding. Points in time you could not have anticipated happening or prepared yourself for. Back in 2003 I was visiting San Francisco where my partner at the time was studying at the legendary Mills College over in Oakland. She told me about a series of talks that happened to be going on whilst I was there, and I discovered that my good friend DJ Olive would be presenting his work in partnership with legendary French composer Luc Ferrari. Sitting in the auditorium I began chatting with our friendly neighbours sitting just behind us, who it just happened to be none other Monsieur Luc Ferrari himself and his delightful wife Brunhild. Moments later a bond had been formed, and she was photographing our shoes and feet, as she continued to do every time we met! A tiny moment in a long history. Luc Ferrari was taught by Arthur Honegger and Olivier Messiaen. At the end of the 1950s he co-founded the Groupe de Recherche Musicale with Pierre Schaeffer, “the inventor of concrete music,” but broke away to pave his own path of individualistic expressions of minimalist music, audio plays, musical theatre, soundtracks and installations. His development of ‘soundscapes’ were enormously influential on generations of other creatives, and with Presque Rien (1967-70) he showed listeners how location recordings of nocturnal life can retune the entire experience of how we actually hear sound. 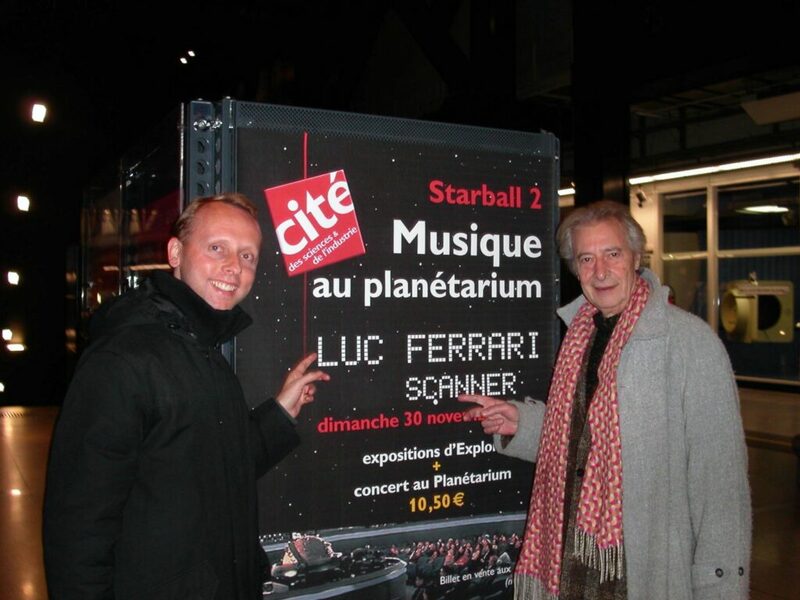 We stayed in touch over email and I was honoured to be invited to perform with Luc in Paris at the magnificent Planétarium de la Cité des Sciences as part of the Starball Festival. Starball dedicated its programming to musique électronique and electro acoustic music, so it was a typically adventurous event featuring Curtis Roads, eRikm, Yves Dormoy, amongst others. Since the autumn of 1999, I’ve undertaken the composition of a new series of works entitled Exploitation des concepts . It’s about using the concepts that I’ve experimented with throughout all my life as a composer, in every possible way. It concerns writing for instruments as much as for electroacoustic, video, multi- media installations, new technologies, etc. Arriving at my workshop one day, I noticed that a leak was making its way across the ceiling and the drops of water were falling onto my tapes which featured some quite old works. I had to take down a pile of boxes from the shelves. Opening them, the cardboard and the tapes all soaked, I spread them out across the floor as if putting together a great puzzle. Hence, out of the necessity to save them onto cd, the idea to get these archives up to date. Copying these constituant parts, I suddenly wanted to transform this tedious work into a work of the imagination. So instead of copying, I started composing, and so came about a new idea which makes use of the 1974 archives (you have to start somewhere), and it’s why I’ve called this composition the Archives sauvées des eaux. In many ways it’s a very open work, offering up a structure for an improvised duo, but framed by certain sequences. We have cues, we have timings, articulation suggestions, but the sound choices remain open. At the Planétarium the work became a spacious airy work, using voices and sounds that nudged nervously against one another, then calmly resting the next. So here we are here, many years later in 2019. 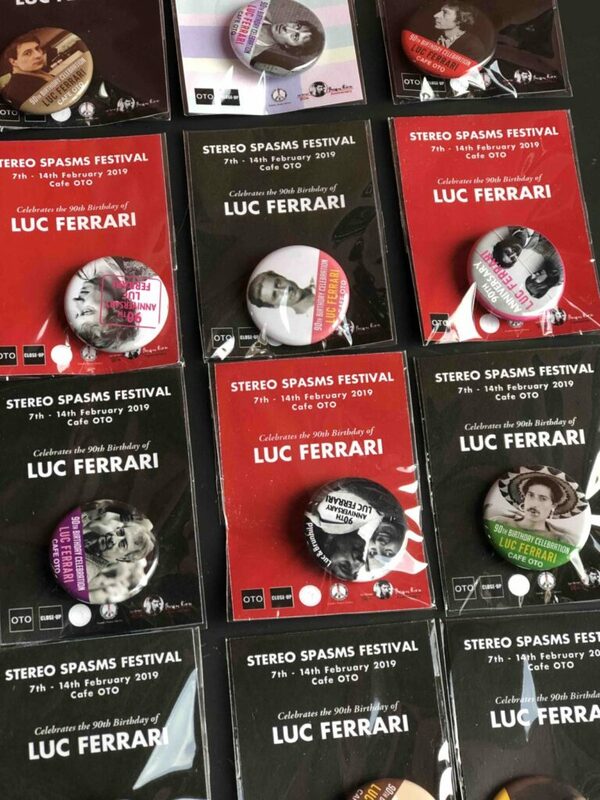 Luc Ferrari has sadly slipped off to explore sonic realms in another region, but it’s still time to celebrate his 90th birthday, and what better way than a festival of his music, with performances, film screenings, talks, readings and more. 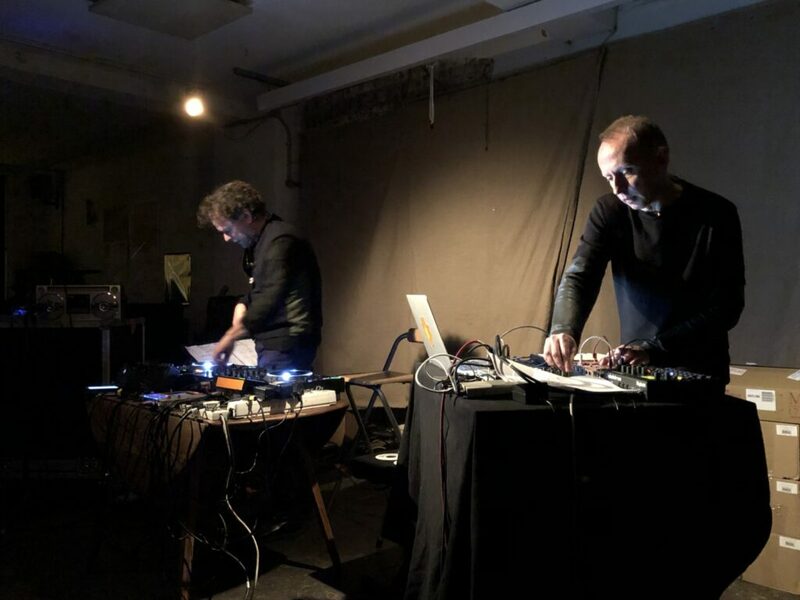 An 8-day programme, Stereo Spasms, is currently on at Cafe Oto in London, and last night I was honoured to play Archives sauvées des eaux Exploitation des concepts n°1 again, this time with French composer and DJ eRikm as my companion. This time it was a wild sonic ride, from itchy percussion to melancholic piano, with voices lost in the ether buried beneath archival personal recordings. A busy Cafe Oto seemed most appreciative, and the following set featuring Thurston Moore with eRikm performing Les ProtoRythmiques (2004-5) was a deeply immersive work, moving from skittering voice cuts up and jittery guitar clangs, developing into an entrancing drone piece, with feedback and live radio broadcasts. Amongst other conversations I had the opportunity to share with Thurston my memories of the debut UK Sonic Youth show I’d caught at The Venue in London, when they supported SPK and Danielle Dax. He vividly remembered this show, especially having to sleep on the floor at Victoria Station, awaiting the first train to the airport, surrounded by their guitars and luggage. Who ever said that rock ‘n roll destroys the brain cells? 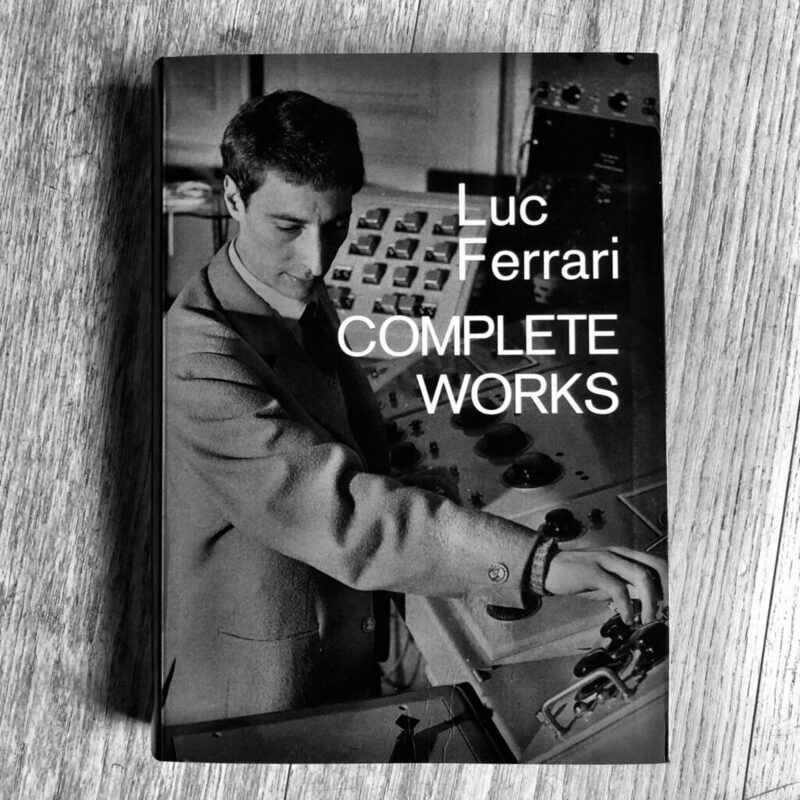 Most excitedly Thurston’s publishing company, Ecstatic Peace Library has just put out the Complete Works of Luc Ferrari. 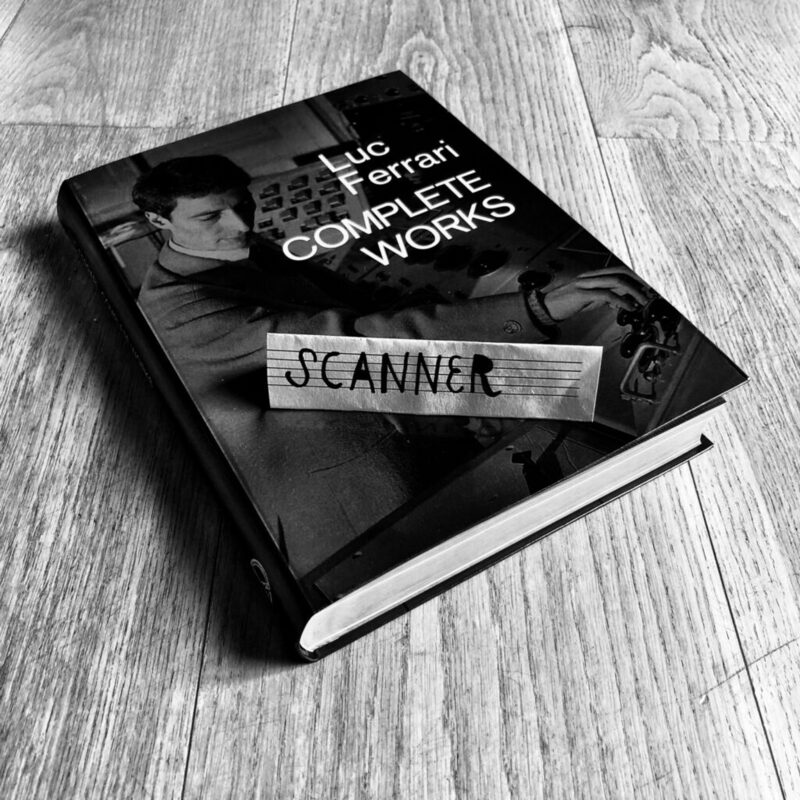 It’s a heavyweight tome, filled with facsimiles of Ferrari’s original compositions, notebooks, and the first English translations of his writings, including poetry and fictional works and correspondence, as well as a special full-colour section that includes the composer’s own collage artwork. A truly essential item to own! Let’s hope there will be further opportunities in 2019 to share the work of this extraordinary composer and very fine human being. 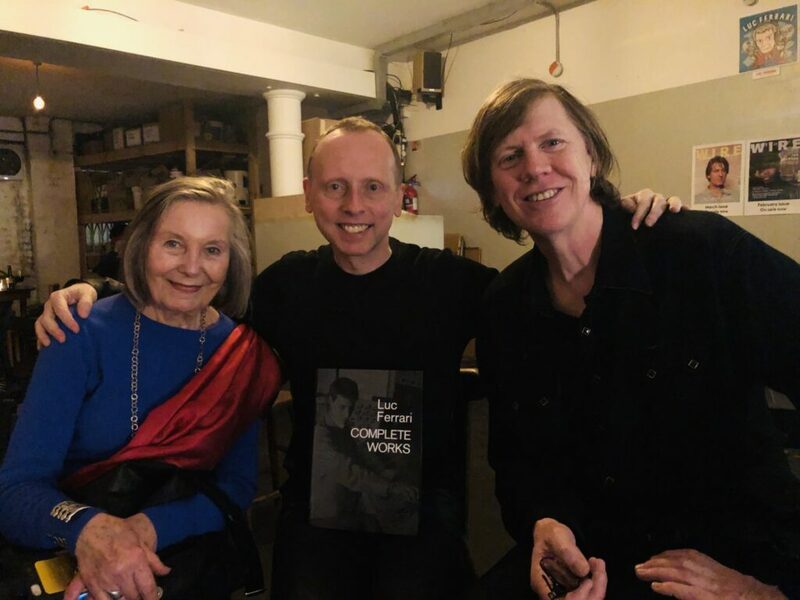 I’m extremely grateful to Bruhild, Cafe Oto, Thurston Moore, eRikm and everyone else who managed to make this happen. Stereo Spasms continues until 14 February at Cafe Oto.